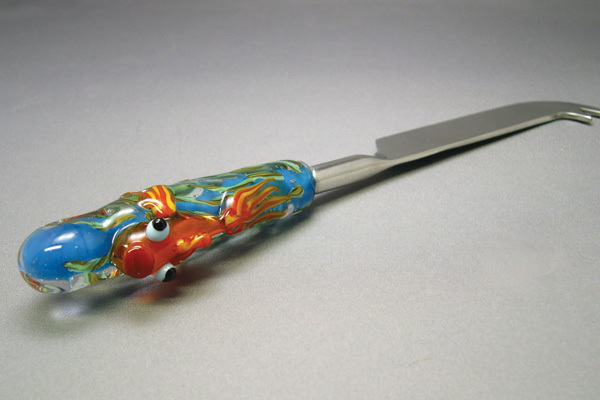 The handle of the cheese knife is approximately 3.5″ long. 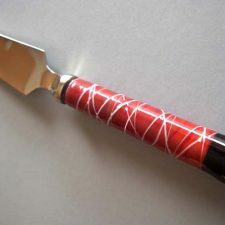 The blade of the knife is high quality stainless steel. Add one of the plain cheeseboards, and you have the start of a party.